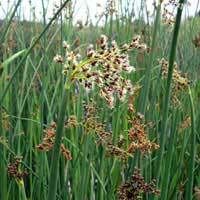 This very tall bulrush has tough, round stems and works well along lakes and marshes. Needs saturated soil conditons and sun. Spreads by rhizomes. Seeds are important food for waterfowl.